Bergman/Rivera is a Swedish-Peruvian family owned company. 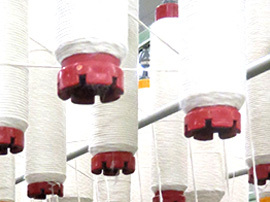 We are pioneers in the production and promotion of Organic Cotton Textiles in Peru since 1986. Nowadays; we have two projects of white and one of color grown cotton, which support more than 160 families across three different valleys in Peru. We are proud to be the first company in Latin America to be certified under Global Organic Textile Standard (G.O.T.S), from the field to the finished garment. This certification not only guarantees the traceability of the organic cotton that we use, but also our standard of fair treatment to every person involved in the production chain. This assures the sustainability in all of our processes and our respect for the environment. It is part of our commitment to educate consumers; so they can understand and practice the philosophy that represents to work with organic cotton. This goes beyond fashion; it means global welfare by improving living conditions of each person involved in this process, respect for the environment and fair trade. Our doors are open for everyone to meet the people who are behind the production of the final product, since its initial stage in the fields to the delivery of the yarn, fabric or finished garment to our client’s warehouse. All the products that we offer are made under Fair Trade standards and principles. Conventional cotton is one of the most polluting crops in the world, contributing with 25% of all the insecticides used in the world and 10% of all pesticides. Many of these have been identified as cancer-producing agents. Most of the plagues develop immunity to these products in a period of 5 to 6 years, this why the companies are forced to develop more powerful and toxic chemicals. All these chemicals endanger the lives of farmers and their families, as well as all the humans that use cotton products, because most of these toxins never are eliminated. Organic Tanguis from Ne 8/1-Ne 40/1 ecru, dyed and heathers. Organic Pima from 20/1-Ne 60/1 ecru, dyed and heathers. Organic Color Grown from Ne 20/1-Ne 40/1. Minimum quantities start from 52kgs in yarn, request stock. Minimum quantities start from 140kg per fabric and color. 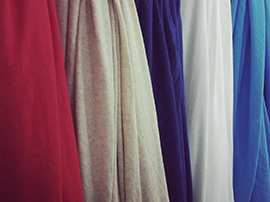 Minimum quantities in our stock service start from 2kg per fabric and color. Minimum quantities start from 1,500mts. We make garments by request, based on client specifications. Minimum quantities start from 500 units per fabric and color. The White Cotton Project, which is the backbone of Bergman Rivera, began in 1986 when we started working with a small group of experimental farmers with different cotton varieties and growing methods, in order to find other alternatives to conventional cotton farming. Many years later, The White Cotton Project became a reality and nowadays we work with more than 90 farmers in Southern and Northern Peru. Our future plans include expanding the farming area with rotation crops like organic maize, which feeds poultry and cattle. This project is managed by Ecotton, one of our partners. 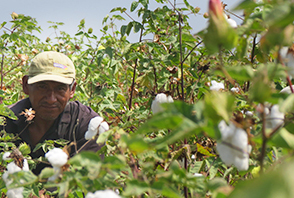 Ecotton oversees 413 hectares of certified land in the Chincha and Lambayeque valleys,producing Tanguis and Pima cotton. 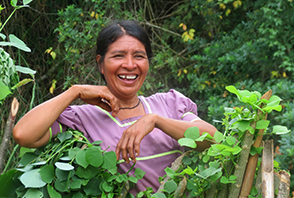 The Wild Cotton project started in 1994 when the Peruvian Government decided to promote alternative crops to replace coca leaf plantations in the rainforest. The naturally colored cotton that has grown in the wild around this area for centuries attracted our attention. After working on certifying a small group of farmers, we started to promote this cotton variety among our clients around the world, getting excellent response and managing to preserve this particular type of cotton, which was about to be extinct. We are still working in color grown cotton conservation in a partnership with INIA (Instituto Nacional de Innovación Agraria) in Tarapoto. 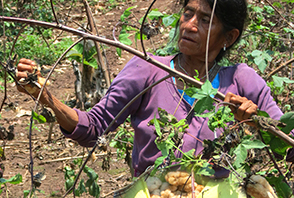 Nowadays, we continue to work with 71 farmers and their families. 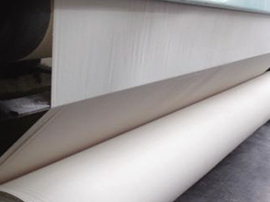 Bergman Rivera has successfully established a market for this variety of cotton in Japan and Europe. In addition, in order to increase the farmers´ income we have helped them sell other rotation crops such as Organic Sacha Inchi and Organic Cacao. 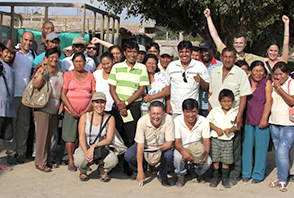 During 2010, Panoco Trading of Japan, Rotary Club of Sweden and Bergman Rivera built a computer room in the Shanao community. The purpose of this project is to provide the farmers with more opportunities and allow our clients to be directly involved in projects that have a direct impact on the development of these communities. “Working with Bergman Rivera has helped us to organize and accomplish the requirement and delivery dates requested by our clients, complying with the G.O.T.S certification has been the perfect tool to let the world know about our capabilities”. 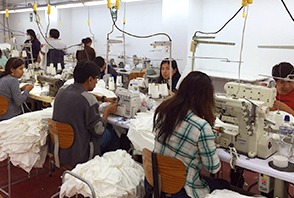 Alfredo Guerreros – Inversiones Textiles Trebol. We help little CMT units to improve their processes, develop quality control procedures and keep sustainability in their practices to achieve our client’s requirements; so, they can showcase their workmanship at an international level. Today, we work with 3 workshops certified under G.O.T.S. The GOTS Certification process includes all the stages that involve the transformation of raw materials starting from production, packaging, labeling, export, import and distribution. 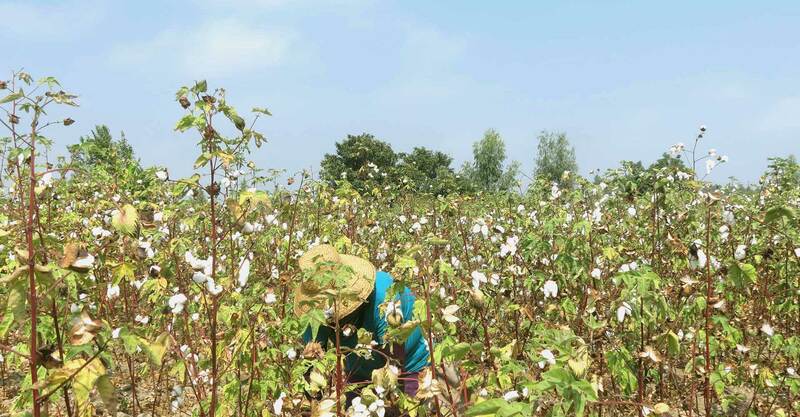 This standard is the most demanding and updated on the latest sustainable textile trends in environmental practices and fair trade, and controls the use of eco-friendly inputs that do not jeopardize the workers and final consumer. It is the final consumer responsibility to request this certificate and the producer´s duty to process this document with the certifier agency. The Department of agriculture of the United States of America- National Organic Program (NOP) develops implements and administrates the national production standards, handling and labeling of Organic agricultural products. NOP standard also confirms the certifier bodies (international and local) that are in charge of conducting audits of productions and operations that comply with this standard. The Department of Agriculture of the United States (NOP) certifies that our organic Cotton fulfills the USDA standard requirements, persevering biodiversity, not using genetically modified seeds, synthetic pesticides or chemical fertilizers. The European Union bases its organic agriculture program in the Regulation EC 834/2007 that regulates the production, management and labeling of the organic products through the European Union. Error: Error validating access token: Session has expired on Tuesday, 09-Apr-19 09:46:38 PDT. The current time is Monday, 22-Apr-19 15:51:16 PDT.